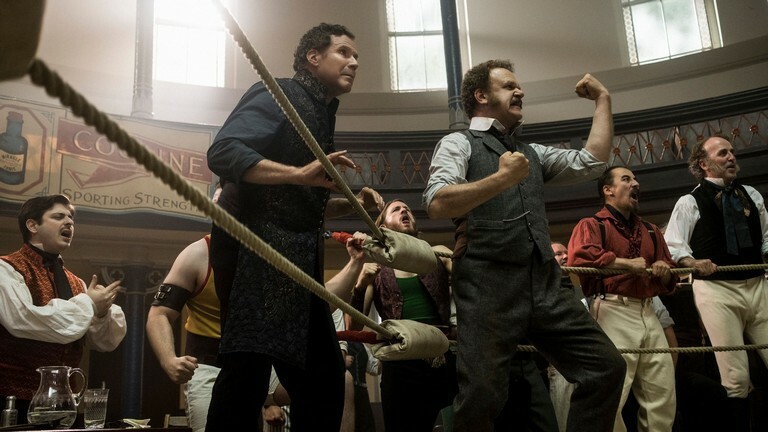 Will Ferrell and John C. Reilly – the legendary duo from ‘Step Brothers’ and ‘Talladega Nights’ – reunite in ‘Holmes & Watson’, a unique and comic take on the world’s greatest detective, Sherlock Holmes, and his faithful companion, Dr. John Watson. The game is afoot, or “a going,” as Holmes proclaims, when a dead body is discovered in Holmes’ birthday cake at Buckingham Palace. It seems the perpetrator is their longtime nemesis, criminal mastermind Professor James Moriarty (Ralph Fiennes), but the famed sleuth has doubts. As their investigation uncovers one twist after another, Holmes and Watson face the greatest threat of their partnership. The master sleuth and his dependable partner must remain united to find the killer, save the Queen, and restore the reputation of the world’s greatest crime-solving duo – if the case doesn’t tear them apart first. Over 125 years after his creation by Sir Arthur Conan Doyle, Holmes remains the most popular fictional detective in history and continues to intrigue and delight fans around the world. Conan Doyle wrote 60 stories featuring Holmes and his friend and biographer John Watson, which in turn inspired countless films, television series, and Holmes stories penned by others. Conan Doyle was first and foremost a storyteller and while his Holmes tales were not overt comedies, they were always entertaining and fun. So, it’s not too much of a stretch to see the characters and their world re-imagined, through the reteaming of Will Ferrell and John C. Reilly, and the unique voice of writer-director Etan Cohen (‘Tropic Thunder’, ‘Get Hard’), as a raucous comedy rife with physical and verbal humour and comic twists and turns, along with murder, mystery, absurdity, pageantry, and a storied partnership that may be on the rocks.